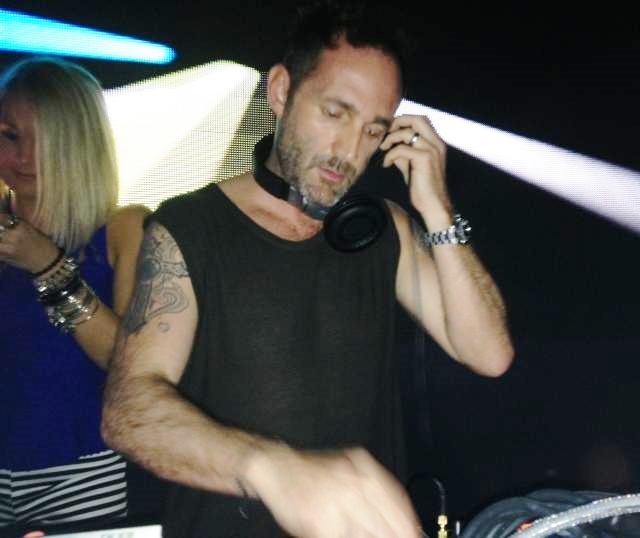 This writer has seen or listened, with greatest interest, to Steve Lawler’s DJ work since year 2001, when the first of his three LIGHTS OUT CDs was released. As a selector of tracks to play, he has no superior and few equals. as a sound shaper and set creator, the same level of mastery. Vidclips of his performances — boomy, strong, luscious and raw — command the full attention of one’s body, soul, and spirit. Yet even by this high standard, the two hour set that Lawler dropped at Bijou on Friday night surpassed expectations. Lawler asserted complete control over every aspect of the music: its pitch, texture, drive and flow; and absolute dominance of every detail in his lavishly detailed sound. Lawler used a pc program running only two channels. That’s as basic as it gets. He played one simple stomp and roll almost all night long. Late in set he changed his groove, but only itys tone. the gait remained the same. Basic, too, was his format: stomp and roll, break rhythm, return to stomp and roll. This has been the drill for almost all DJs of house and techno have, since Armand Van Helden in the mid-1990s showed them how. These days the format almost guarantees a boring, repetitive set. Only the most imaginative DJs make it work. Lawler’s set had imaginagtion to spare; it had dialogue, drama, surprise, humor. It was psychedelic. Lawler cued up CDs with a finger swipe — one, two, three, done. He spread complicated orchestral manoeuvers and tweaked them sharp, lush, squeezed, pinched — every tweak mattered. Passages of mid-octave conversation found themsleves interrupted by surprise quick cuts : two bars of drum roll, a laugh, the horn of a fire engine. Pairing reverb bass tones with squawky, thorny noises, he ballooned the effect, squeezed it, lengthened it. All of this Lawler accomplished without using one recognizable track. Rigorously he adhered to the disco-era DJ code of using tracks no one recognizes but which, once heard, everyone wants to own. Tastier than anything were his breaks. Into some he inserted a break within the break, like an enigma inside a riddle, exiting the break via shimmy and shake moves back onto his must-have stomp and roll: dancers welcomed the tried and true after being so loftily abstracted into the mystic. Chants of “oooh ! aaah ! whoa !” and “aaah” again gave voice to the dancers’ twirl, step, and joy. Then came the groove tone change, stomp and roll differently dressed, as Lawler dropped his set’s only recognizable reference — the beat of Green Velvet’s “Answering Machine,’ a track that Lawler used humorously on his first LIGHT OUT CD so long, long ago. Local DJ Scot Cox played an opening set in his own hard-fisted, brawny yet melodic manner, a sound that Cox played with great success at the late Providence dance club Therapy. Cox’s 90 minutes provided a wonderfully sympatico lead into Lawler’s sound — the same tone and stomp as Cox’s, albeit taken by Lawler to another level.